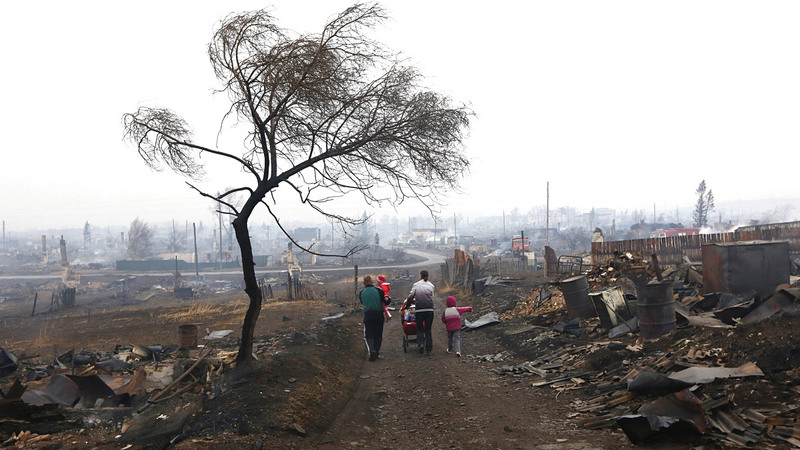 The continuation of the crisis in the southeast of Ukraine, the fight against ISIS in Syria, the downturn in the economy, natural disasters and high-profile murders – 2015 was hardly smooth and quiet. However, this year also saw joy, happiness and love. 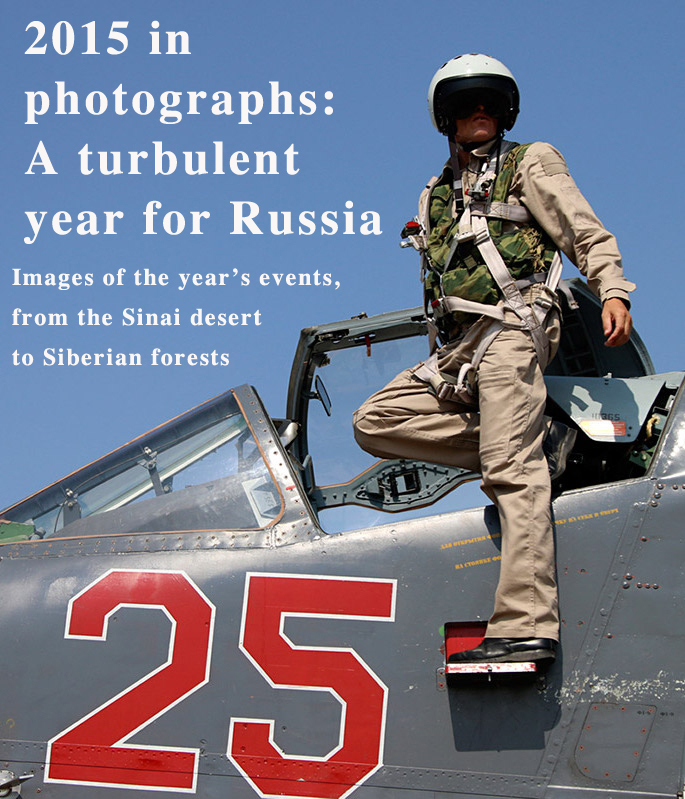 What was 2015 for Russia? Check out our photo gallery. 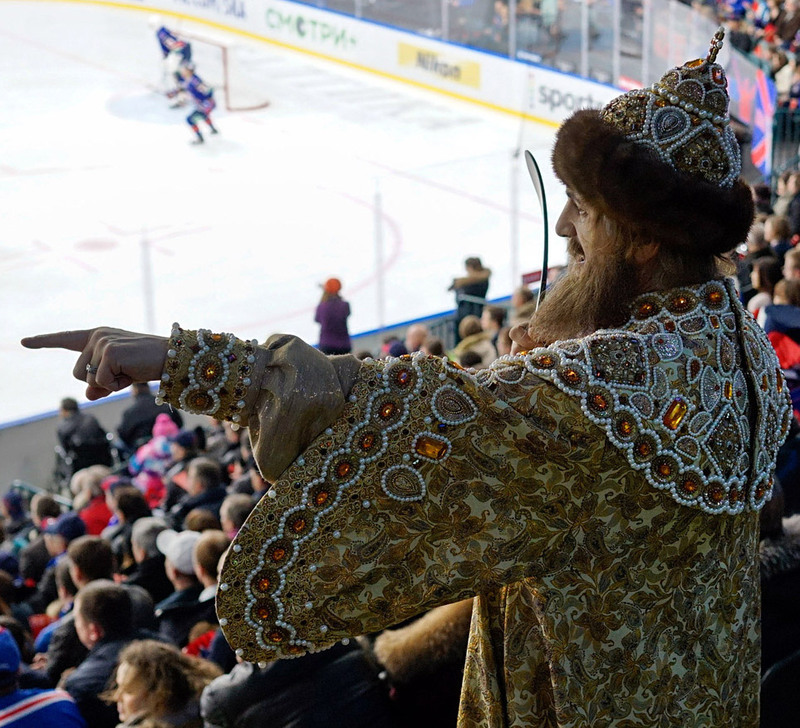 A fan dressed as a Russian tsar at the Continental Hockey League match between SKA St. Petersburg and Slovan Bratislava. 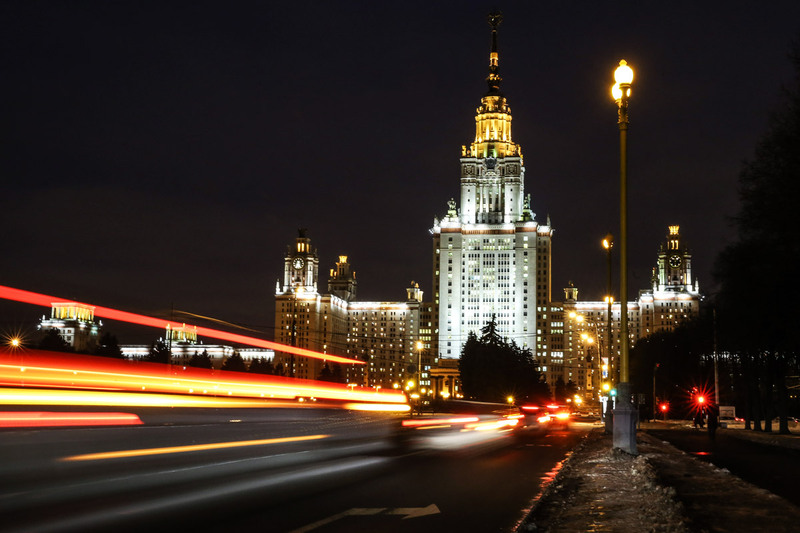 On Jan. 25, Russia's most prestigious university – Lomonosov Moscow State University – celebrated its 260th anniversary. Pictured: a view of the University's main building in the Sparrow Hills in Moscow. Feb. 11-12. 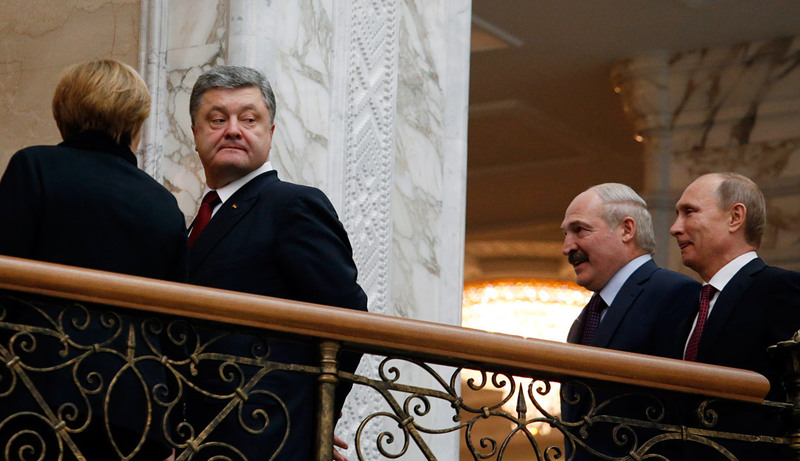 The leaders of Russia, Ukraine, France and Germany spent all night in negotiations in Minsk, Belarus to work out a plan for a peaceful resolution of the armed conflict in the southeast of Ukraine. In late February, Russia traditionally celebrated Maslenitsa, a Slavic feast at the end of winter, when people eat pancakes and other goodies ahead of the strict Lent period. During the night of February 27, opposition politician Boris Nemtsov was murdered in Moscow, right opposite the Kremlin. 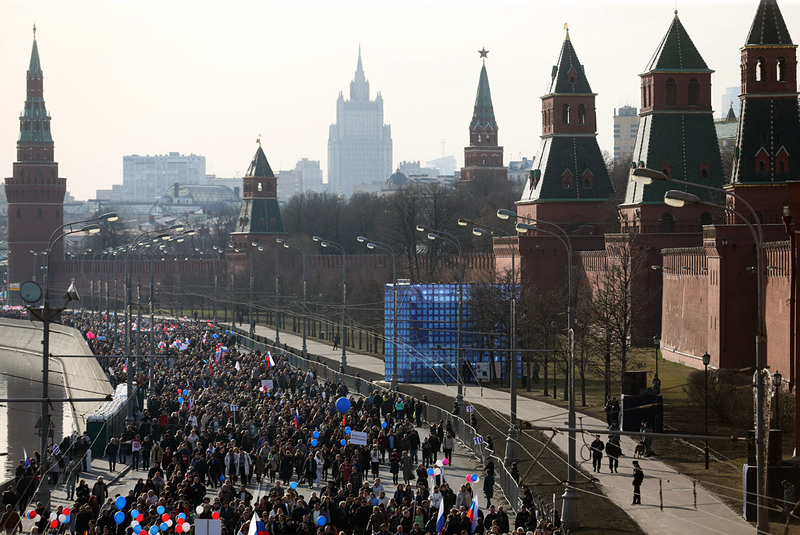 Thousands of people came to mourning marches in memory of Nemtsov. From March to April each year, the Yamalo-Nenets district, 1553 miles (2,500 km) northeast of Moscow, celebrates Reindeer Herders' Day. 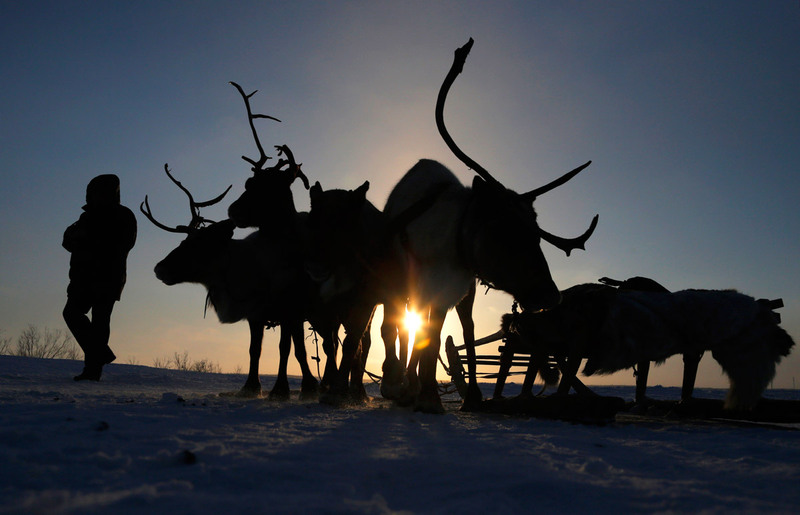 For many traditional inhabitants of the tundra, the reindeer provides food and shelter (because its skin is used to make the special tent – the chum – in which the indigenous peoples of the region live), as well as a vehicle and clothes. 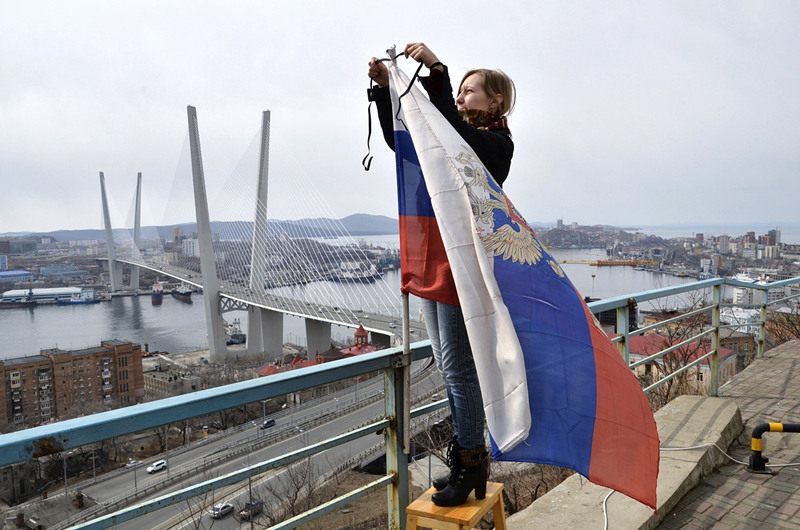 On March 18, the first anniversary of the accession of Crimea to the Russian Federation was celebrated all over the country. Pictured: the "We Are Together" rally and concert on the Kremlin embankment in Moscow. On April 2, the Russian trawler Dalny Vostok sank in the Sea of Okhotsk in Russia's Far East. The disaster killed 56 of the 132 crew members. Pictured: Vladivostok. A young woman fixes a black ribbon to the national flag in memory of the victims. April 11. Russian Patriarch Kirill lights candles at the beginning of the Easter service at the Cathedral of Christ the Savior in Moscow. More than 1,600 skiers and snowboarders took part in a "bikini descent" – the traditional closing event of the ski season at the Siberian ski resort of Sheregesh on April 18. More than 20 villages and towns in the Republic of Khakassia suffered in April from forest fires due to the dry and windy weather. 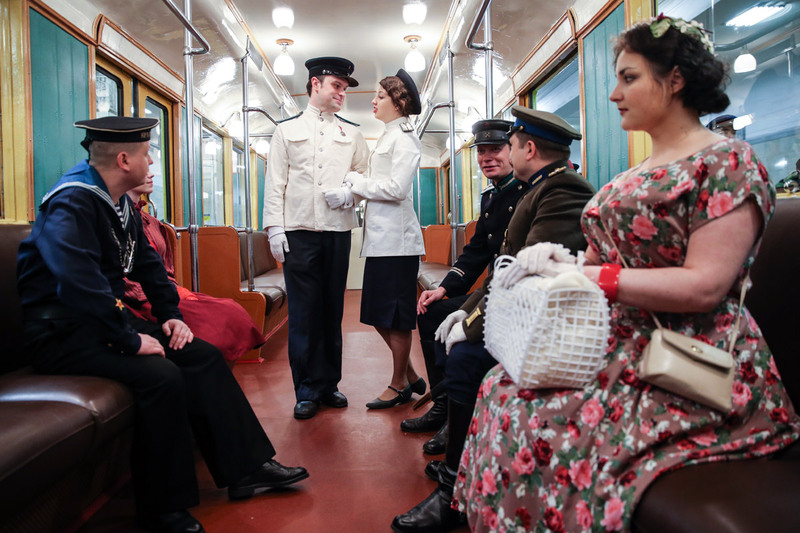 On May 15, the Moscow metro turned 80. In the photo: Visitors dressed in Soviet-era clothes at the opening of the exhibition of retro cars at the Partizanskaya station. Russia unveiled the logo of the World Cup, which the country will host in 2018. 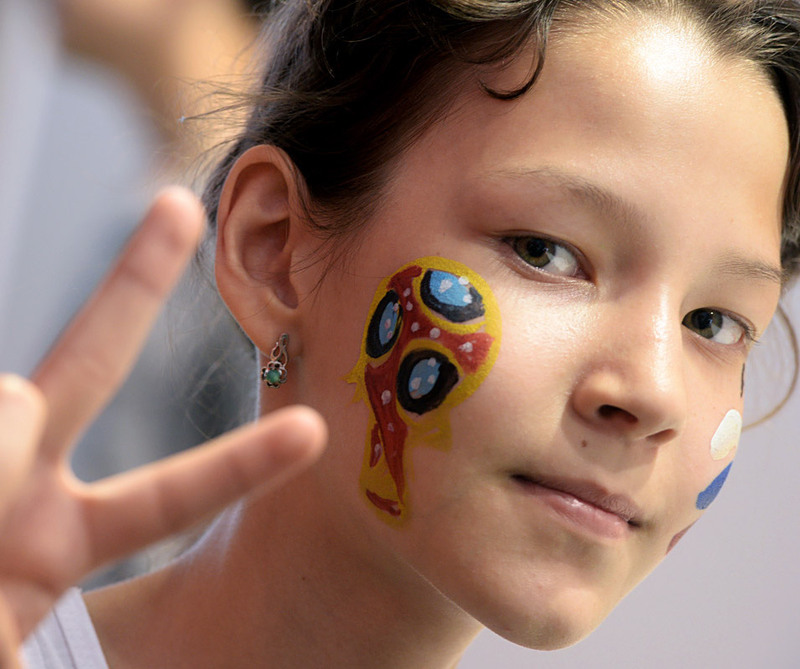 Quiz: What do you know about Russia's World Cup 2018 host cities? A new building of the Garage Museum of Modern Art opened in Moscow's Gorky Park. 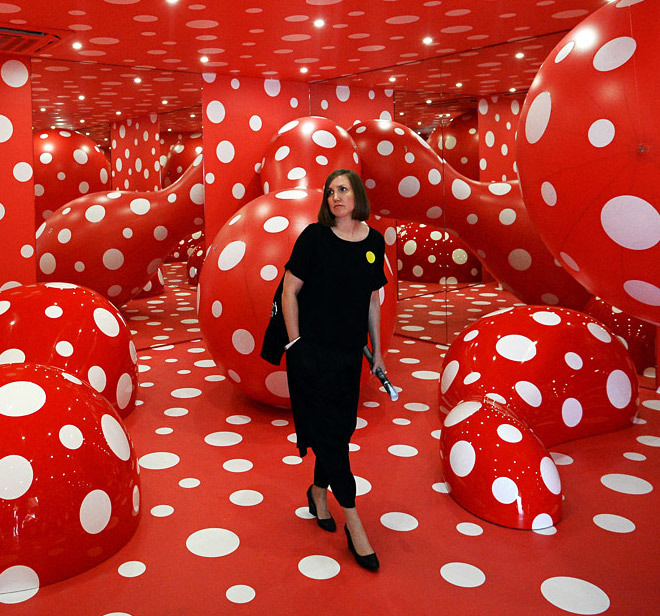 Pictured: an installation in one of the rooms. 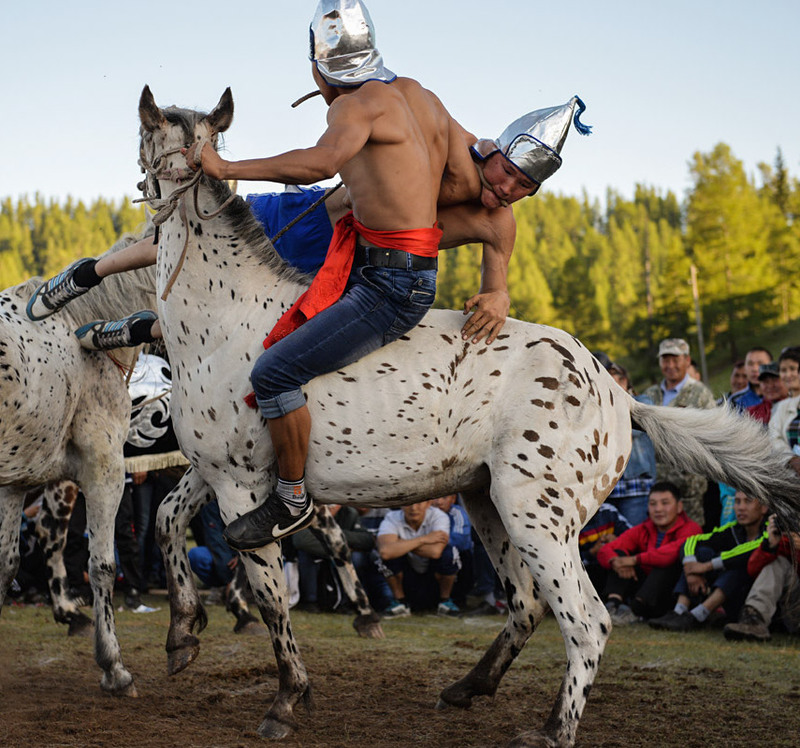 Athletes during a horseback fighting tournament in the village of Ulagan in the Altai Republic. 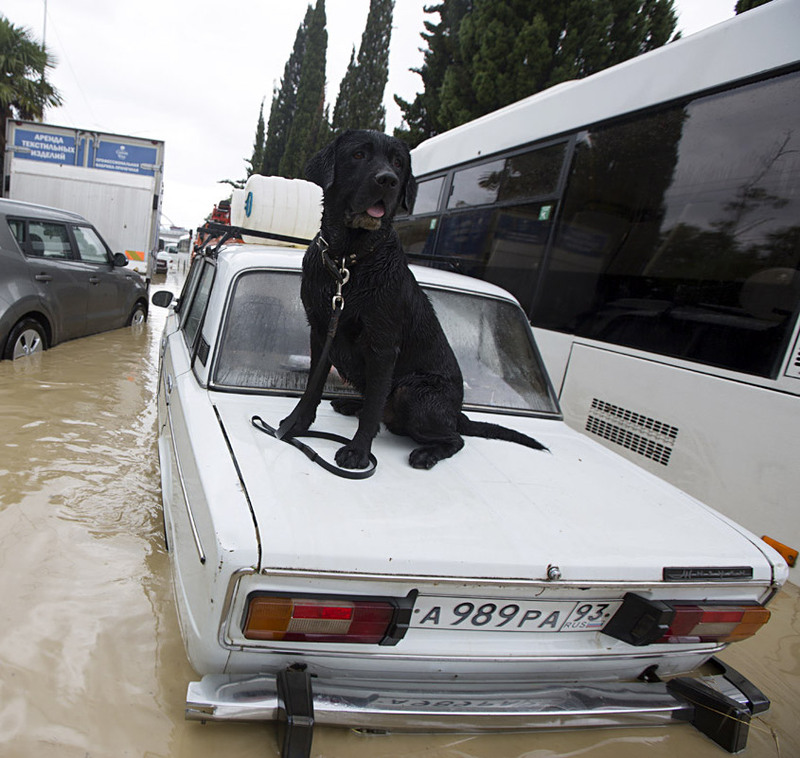 In late June, Sochi was flooded due to heavy rains. The city's storm drainage system failed to cope with the huge volume of water. 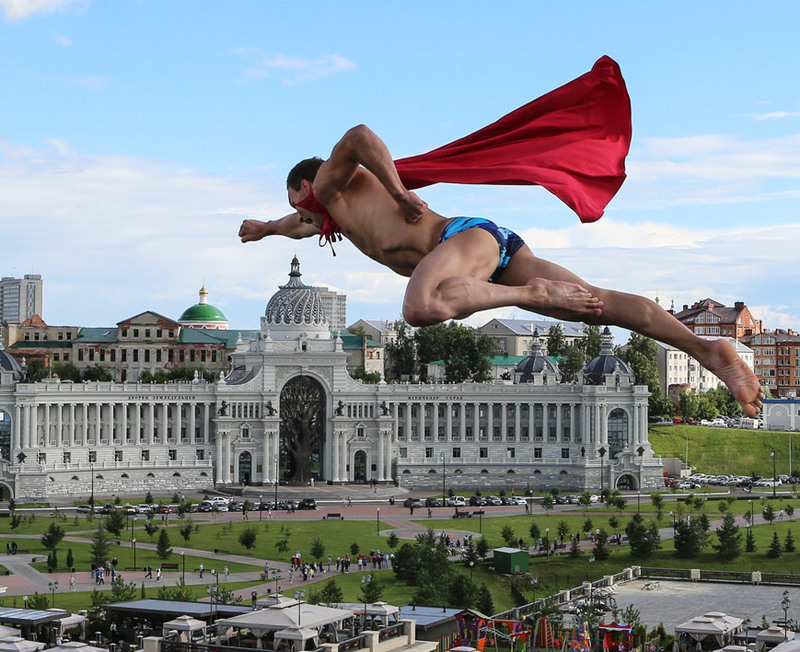 In August the Russian city of Kazan hosted the FINA World Aquatics Championships. Pictured: Michal Navratil from the Czech Republic performs a 27-meter high dive. In late July, Russia begun to destroy cheese and other food and agricultural products illegally imported from the countries that supported the Western economic sanctions against Russia. 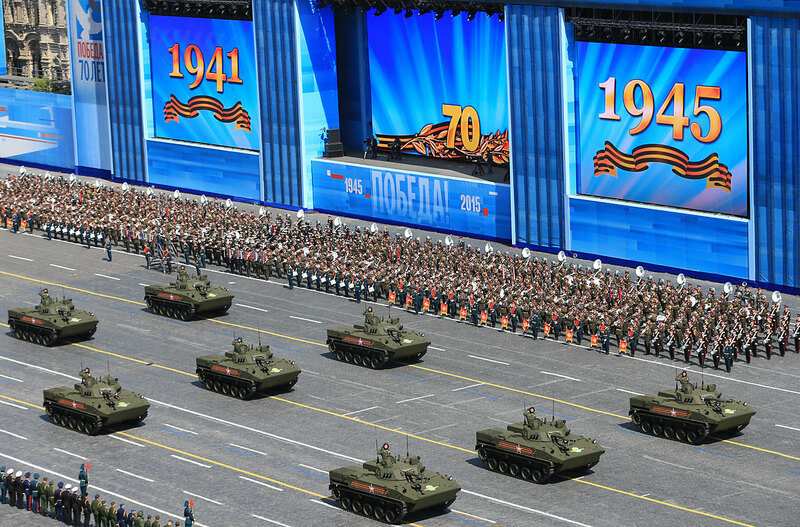 International military games were held in the Moscow suburb of Alabino in early August. Pictured: A group of re-enactors dressed as Russian epic bogatyr heroes runs past a platoon of paratroopers. 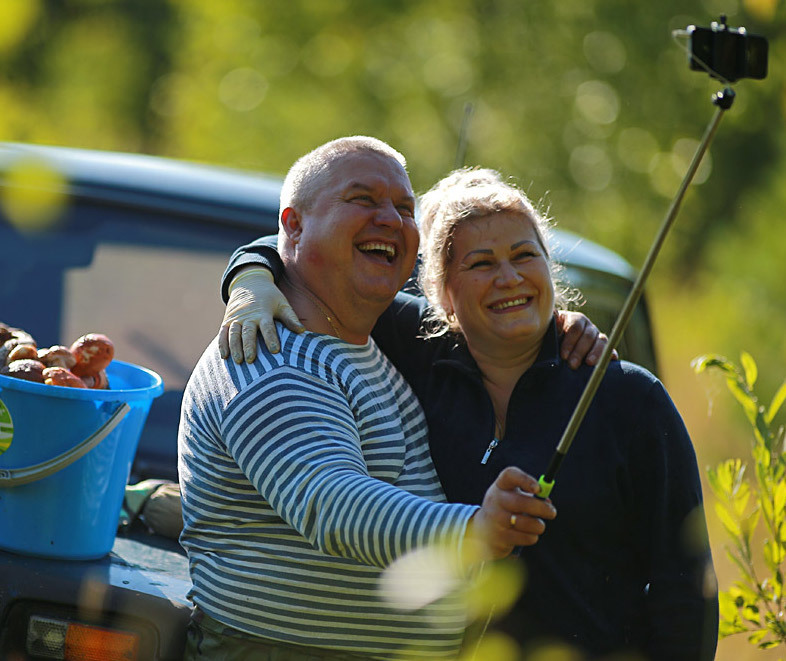 A mushroom selfie. Why not celebrate a good catch? 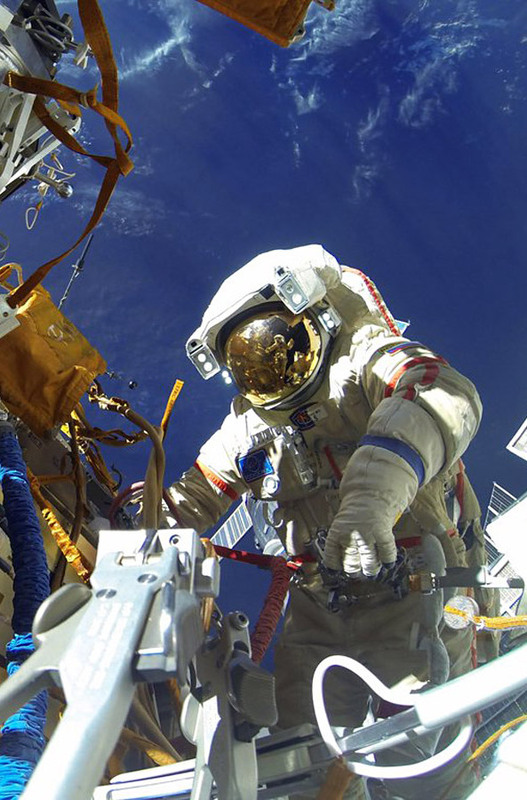 On Aug. 10, Russian cosmonauts Gennady Padalka and Mikhail Kornienko went out into space to inspect the outside of the International Space Station and perform a number of other tasks. 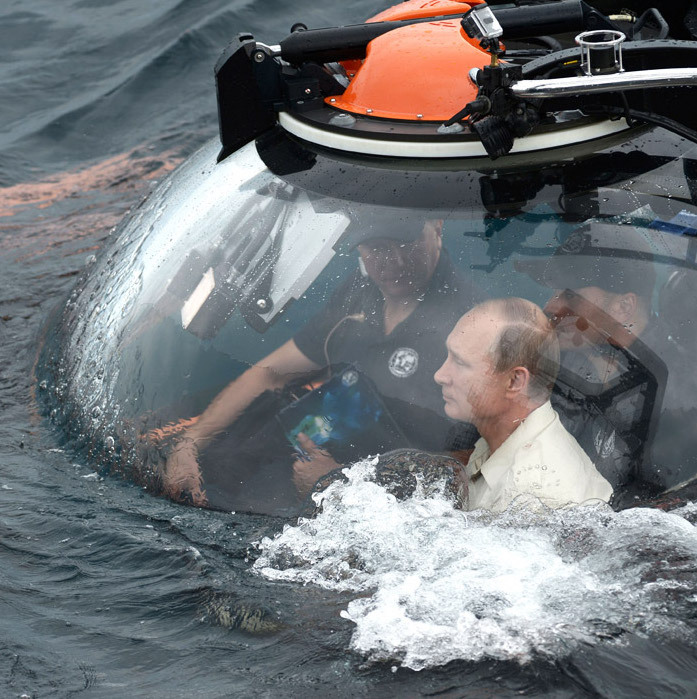 On Aug. 18, Russian President Vladimir Putin descended in a bathyscaphe to a sunken ship located at a depth of 83 meters near Sevastopol in the Black Sea. In September, Russia's second largest (after Aeroflot) airline Transaero went bankrupt. In the photo: A Transaero Boeing 747 arrives in Vladivostok for Tiger Day in late September. On Sept. 30, the Russian Air Force carried out the first airstrike against what Moscow said were positions held by the ISIS terrorist group in Syria. Pictured: a technician at Russia's Khmeimim air base in Syria prepares a plane for a combat mission. Tuvan shaman Yury Oorzhak during a sacrament that will help predict the fate of his client – a resident of the city of Kyzyl, capital of Russia's Tuva Republic. 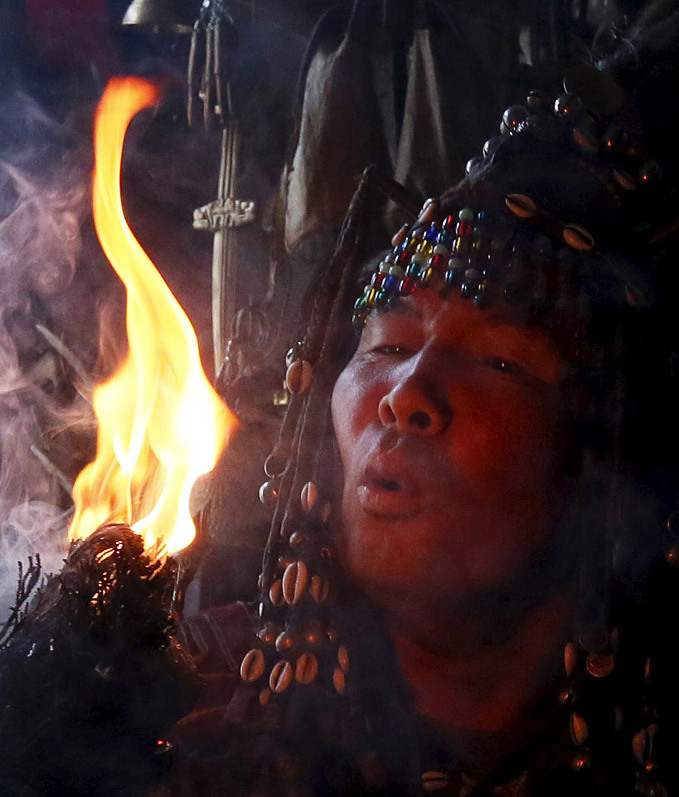 Read more: Revelations of a Siberian shaman. On Oct. 21, Russia, alongside the rest of the world, observed Back to the Future Day – the day in the future to which the characters from 1980s hit movie Back to the Future traveled in a time machine. 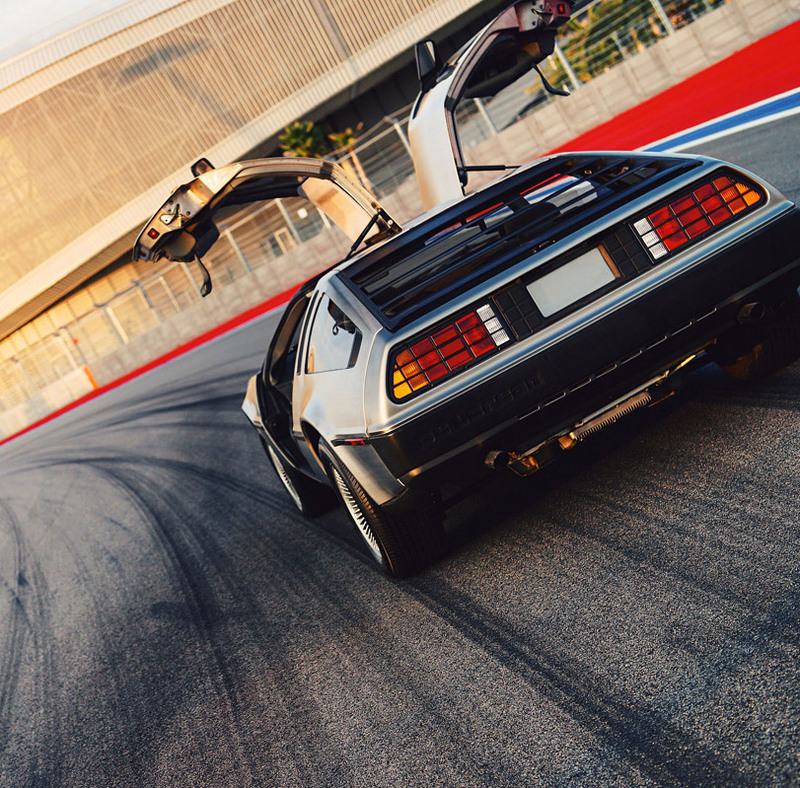 The DeLorean DMC-12 car went for a spin on the track of the Sochi Autodrom. On Oct. 31, a chartered Russian plane belonging to the Kogalymavia airline, operating under the Metrojet brand name, crashed in the Sinai desert in Egypt just 23 minutes after taking off from the Egyptian resort of Sharm El Sheikh. All 224 people aboard were killed in the disaster, responsibility for which was claimed by the ISIS terrorist group. 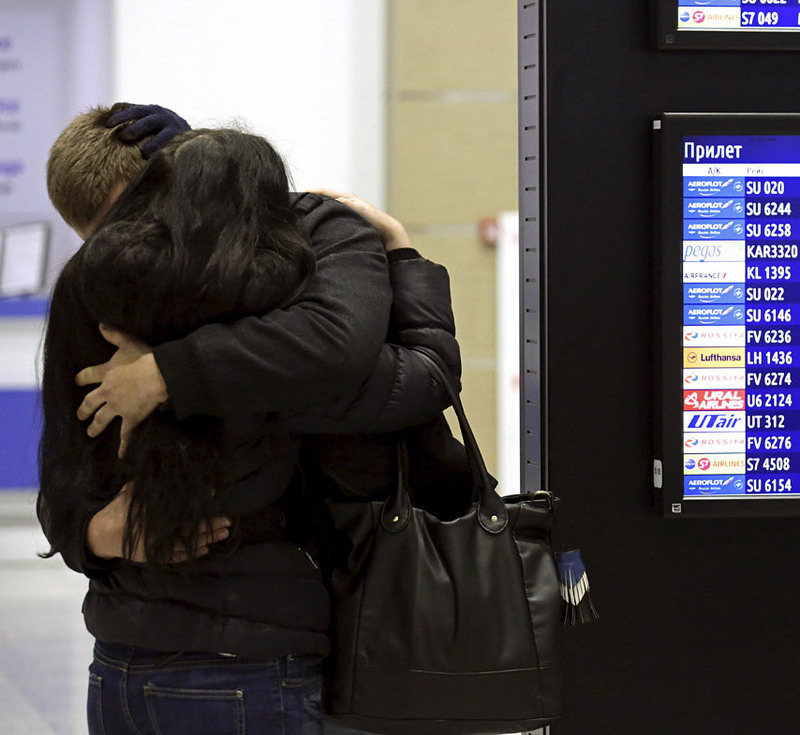 Pictured: Relatives of the victims wait for information at St. Petersburg's Pulkovo Airport, where the Metrojet flight was due to arrive. On Nov. 9, countercultural artist Pyotr Pavlensky set fire to the door of the main building of the FSB (the successor to the KGB) in Moscow. Pavlensky, who is known for other high-profile performances, including one in which he nailed his scrotum to the cobblestones of Red Square, was immediately arrested by police. November 14. 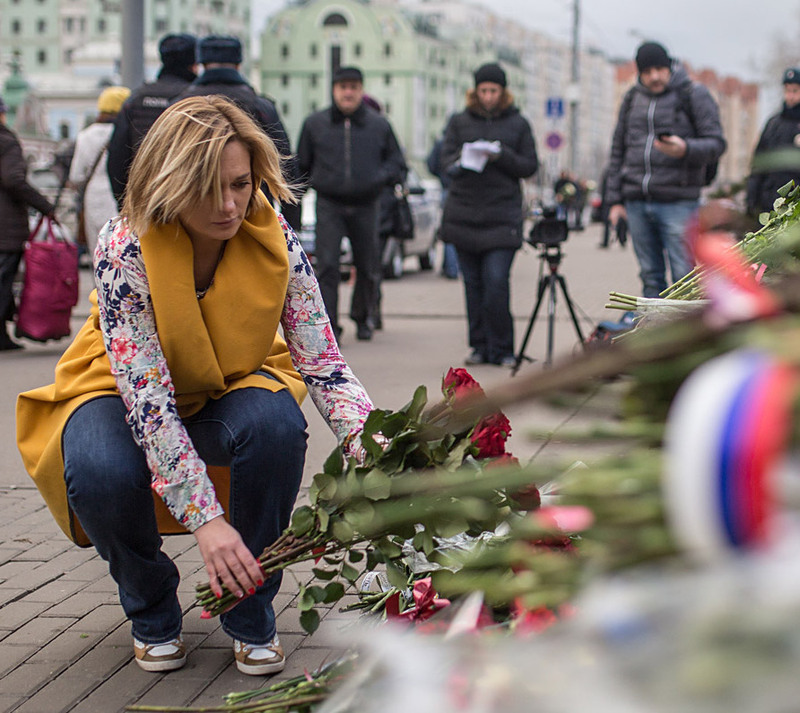 Russians brought flowers to the French Embassy in Moscow in solidarity on the day after the series of terrorist attacks in Paris, which killed more than 150 people. On Nov. 24, the Turkish air force shot down a Russian Su-24 bomber. While crew commander Oleg Peshkov was killed, navigator Capt. 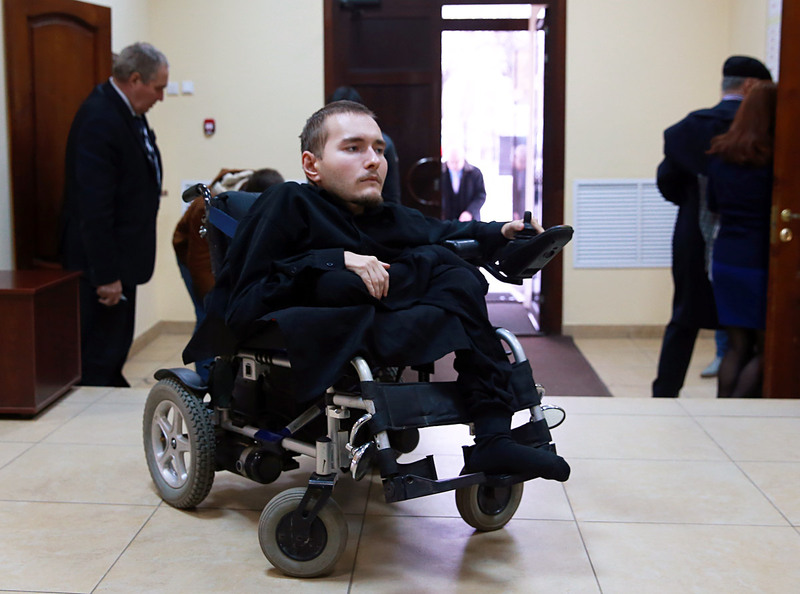 Konstantin Murakhtin was rescued. Pictured: Murakhtin (center), answers journalists' questions at the Khmeimim air base in Latakia, Syria. The year is over ... Now you can finally relax! A winter swimming fan bathes in an ice-hole at Blyudtse Lake in Novosibirsk. Photo editors: Andrei Zaitsev, Slava Petrakina. Text by Vsevolod Pulya, edited by Maxim Korshunov and Alastair Gill. © 2015 All Rights Reserved. Russia Beyond The Headlines.